Flex House, marketed for “right-sized” living, starts at 760 square feet including a master bedroom, smaller room (think office or second bedroom), bathroom and full kitchen, two “living areas” and flexible “niche” space. For $5,000 down, you can get on the waiting list for your prefab home to be delivered in eight to 12 weeks; total cost: $150,000 plus delivery, permit, site preparation…and of course, the property to put it on. Beyond arched doorways, recessed lighting and built-in seating and storage, Flex House was staged to amaze with available smart home features like a Bosch EV charging station, JinkoSolar battery system, Lutron smart shades, Nexus eWater greywater recycling system, and Rachio WaterSense smart irrigation controller. 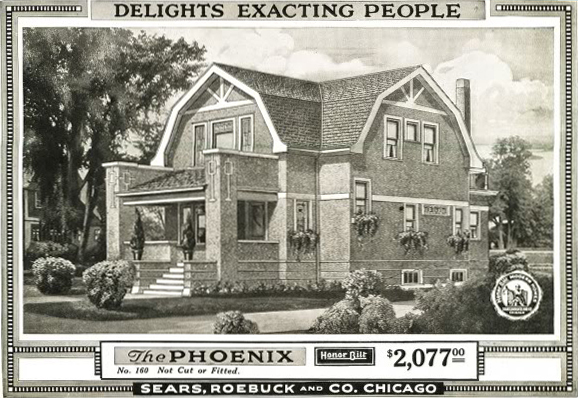 From 1908-1940, consumers could mail-order homes from Sears, Roebuck and Company In 1919, you could order a seven-room kit house called “The Phoenix” for $2,077 (up $806 from 1915 and equivalent to $30,259 in 2019), but that price didn’t include cement, brick, stucco, plaster, or the necessary 32-foot wide lot; site prep estimates were available by writing the company. hall and parlor, built-in buffet with colored art glass sash and double floors in all rooms. In 2016, Atlas Obscura reported that kit homeowner Andrew Mutch estimated “70 percent of Sears houses are still alive and kicking.” Some upgrades have been made to his family’s 90-plus-year-old Hamilton home, but he credits its resiliency to the original No. 1 yellow pine lumber, cypress siding and cedar shingles. 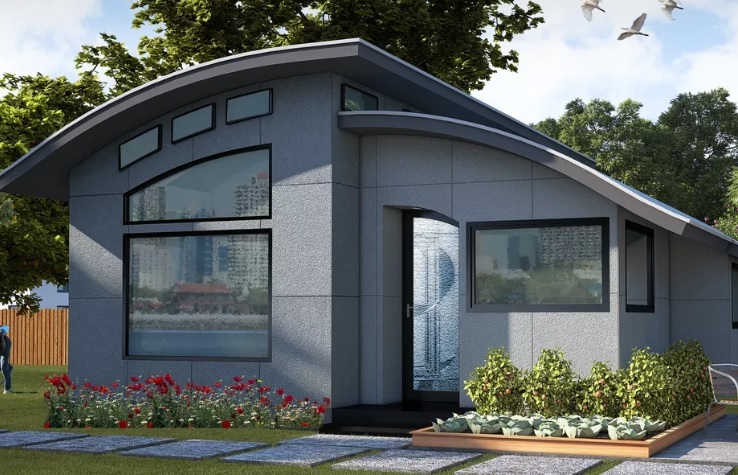 Although smaller than mail-order homes of the past, prefabs are making a comeback — whether they stand the test of time could be as much a question of software upgrades as it is sustainable building materials. NEXT POST: Realtors Investment Pay$ off!